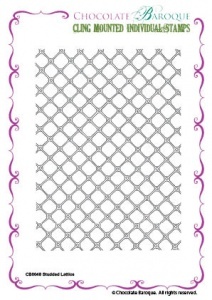 This individual stamp depicts a lattice background. 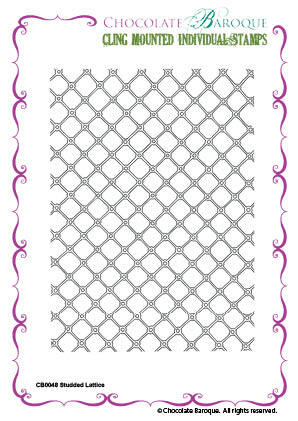 Size Approx 135 x 100mm (5.25" x 4.0"
This stamp is so handy for small or large pieces. 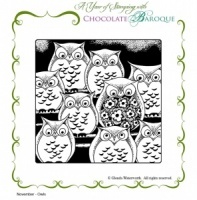 AND Chocolate Baroque is just wonderful in ALL ways. Outstanding service and quality of stamps which is only to be expected from Chocolate Baroque.